Saint Georges tale, like that of many hero-saints, has been overlaid with the fond embellishments of story-tellers throughout the generations. 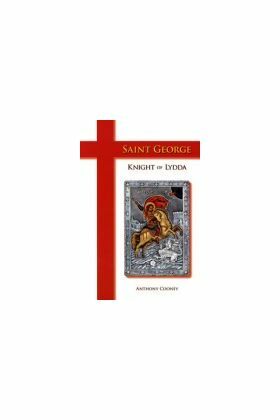 Anthony Cooney has re-examined the historical sources for the life of St George, and has forged these into a stirring and original historical novel. 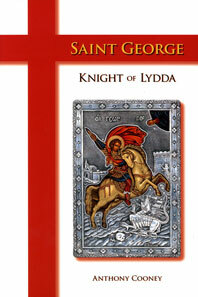 Here we rediscover St George as Giorgios Theognosta, the Roman cavalry officer from Lydda in Palestine, a Christian during the last days of the pagan Empire, a brave man who stands up for his faith during the final great wave of persecution. Giorgios integrity and military skill, inherited from his murdered father, bring him success in his career, but this success brings him the envy of a powerful enemy, one whom he will ultimately have to confront. In Giorgios company we journey to the corners of an Empire striving to hold its borders against those who reject Roman rule  from Germania to North Africa, from Persia to Britannia  encountering along the way a throng of historical characters: Aurelian, Diocletian, Galerius, Zenobia, an old British king named Coel, and Giorgios great friend, a promising young officer of the imperial family named Constantine . . . The action-filled narrative reveals much about the Christian Church of the third century, about life in the Roman army, and about how extraordinary legends can arise through the affectionate exaggeration and symbolic story-telling of a devoted scribe. Forward by Mark Elvins, OFM Cap.